1962 Ford Falcon Squire, 170ci (2.8 litre) straight six with Fordomatic auto box. All stock except the tastefully lowered suspension and 14" chrome smoothie wheels. Originally imported to the UK in 2009, I"ve owned this wagon for the past 4 years where it has always been MOT"d, serviced and garaged (fits into a standard size garage). Many improvements have been made over this period. Factory Squire features including great full-length luggage rack and power rear window. All gauges/heater etc work. Excellent bench interior with rear seat that folds flat for maximum storage. Original radio (not working). Excellent chrome all round. Recent front shocks, front brakes, front hubs and upper shafts. All parts are easily available. Rear indicators relocated into reversing light housings with amber bulbs (as other drivers were confused by the original US red indicators). New set of quality US door rubbers, 1/4 light seals, window felts and glass run channels supplied along with original set of 13" wheels. There is some minor bubbling at the bottom of a couple of doors and lower rear quarter panels, but overall extremely presentable. Will be supplied with fresh MOT. 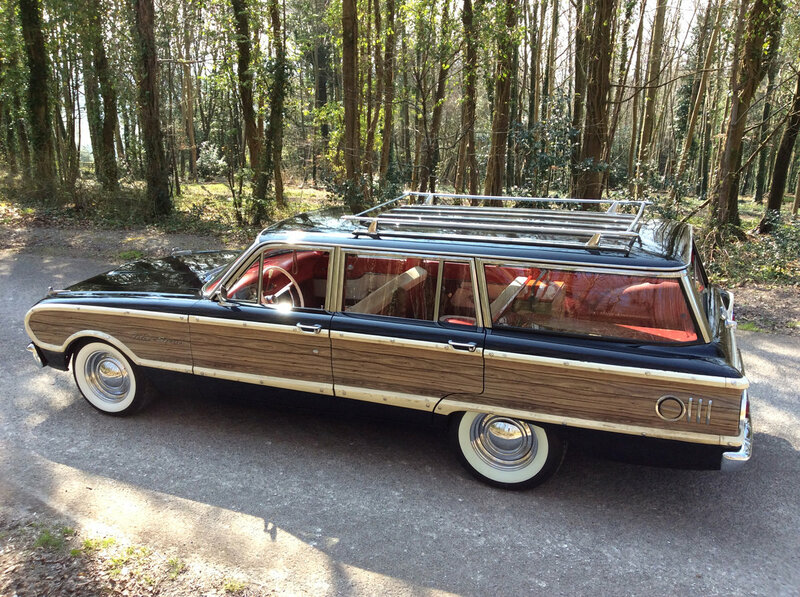 This is a solid, fun, reliable and driveable compact woodie wagon with great visibility that always turns heads. It"s given us some great times, but priorities have changed and I"ve decided to sell. Contact me if any more information needed. I can supply more images upon request.